It’s day 10 and it’s definitely starting to feel like this is my life. Writing this book is just a thing I do now. This month has been a blur. 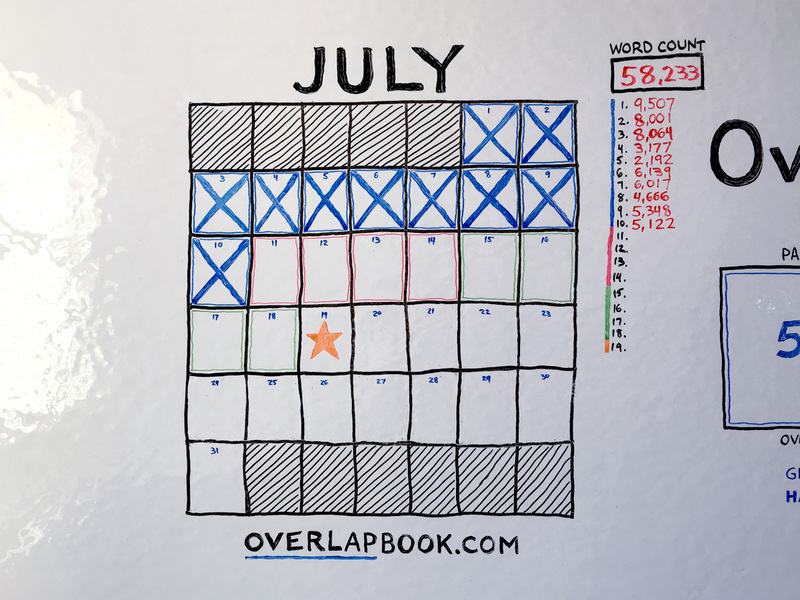 One third of July is already gone. If I’m able to hit my new goal of 100,000 words in 19 days, that means right now I’m officially in the second half: 10 days in, 9 days out. As I’ve mentioned before, I’m admittedly doing quite a bit of editing as I go. This is not your typical first draft material. I haven’t done this before, so I could be way off, but I don’t anticipate that there will be much structural editing. It helps that it’s things I’ve spoken about and written before many times. I’ve been through the iterations before. I don’t anticipate that there will be a great deal of editing for me to do. If I finish by the 19th, I will spend the remaining four days of that week editing. I’ve been doing some research this weekend on the editing process and I’ll be sharing my plans for that as I get closer. If all goes as planned, I should have a manuscript ready to send to a professional editor by the 24th. I’m also hoping to get pre-orders for the book up this week. I wasn’t sure if I was going to take today easy or not. It’s still the weekend, but I was thinking I might get up early and run today. But I ended up deciding to sleep again. If it weren’t for the goal I set, I probably wouldn’t have written 5,000 words today, but I did manage to do it. I had to work really hard to do it though. I feel lazy with 9 hours of sleep. I don’t like it. Everything gets done later in the day and I just feel behind. Tomorrow, I’m rejoining the early wake club. I’ve told the story before, but after having a chair break underneath me when I leaned back after a hard day’s work, I vowed never to get a cheap chair again. Last year, I invested in the Herman Miller Aeron Chair. It’s been the best money I’ve ever spent. I haven’t looked back for a second. It’s like sitting on a cloud that was designed for my body. However, the only thing I missed about my old chair was the headrest. I liked being able to lean back and rest my head, but the Aeron Chair is not tall enough. It was a minor tradeoff for such comfort, so I happily obliged. But two days ago, I discovered that there is a company that makes an aftermarket Headrest for the Aeron. It just came in today and it is virtually impossible to tell that it isn’t stock. It’s adjustable in three different ways and it feels positively heavenly. For as much time as I spend in this chair, it was a great purchase.